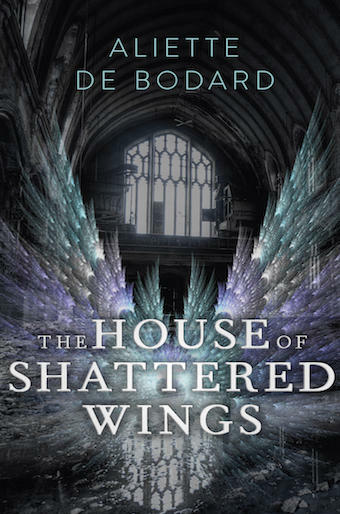 So you can now buy The House of Shattered Wings both in the US and the UK–I thought it was high time to round up a few of the things that have been going on with the novel, just in case you’re feeling indecisive (or if you want to know more!). -I talk on the Coode Street Podcast with Jonathan Strahan and Gary K Wolfe about the novel: Jonathan Strahan calls it “powerful and engaging”. Gripping (…) De Bodard aptly mixes moral conflicts and the desperate need to survive in a fantastical spy thriller that reads like a hybrid of le Carré and Milton, all tinged with the melancholy of golden ages lost. 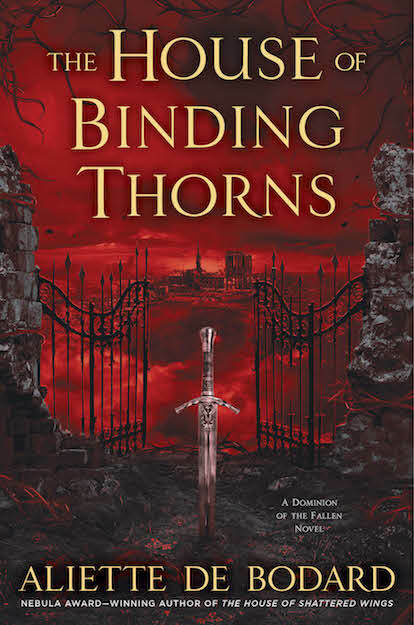 Will grab readers and force them to pay attention to the amazing writing and the phenomenal characters (…) It’s a whirlwind, it’s heartbreaking and it’s one of the best fantasy novels of 2015. A fascinating Paris of decay and cruelty. ­Phillippe is a marvel of a character, unreliable as a narrator but compelling in his flaws and his deep well of homesickness. Especially haunting(…) convey(s) a visceral sense of immediacy (…) a surprising but compelling murder mystery, which plays out according to the supernatural terms de Bodard has laid out so evocatively. A dark and wondrous fantasy (…) every setting and location is invoked in vivid detail, and a very dark world is brought to life. Grimly prosaic (…) wrapped up in intrigue and politics (…) comes closer to the blunt, grounded violence of Game Of Thrones than the high gothic fantasy it outwardly resembles (…) a grim story with high-flown conventions, but by finding so much ugliness even in supernatural beauty, de Bodard makes both seem more compelling, and more concrete. Fascinating, moving and hugely readable. The year’s best urban fantasy by far (…) takes a whole hoard of over-familiar fantasy tropes and turns them, evidently effortlessly, on their collective head (…) There’s an intelligence—and, yes, an elegance—to The House of Shattered Wings that is as rare and precious as angel essence. 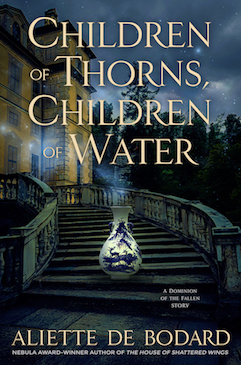 Aliette de Bodard has written an absolute masterpiece whose sequel cannot come soon enough. One of the most unusual and absorbing books I’ve read in years (…) a vivid sense of remembered splendour and grandeur (…) a powerful novel that sinks deep into the reader’s psyche, taking you into a world so rich and characters so compelling that they linger for months after turning the last page. Don’t miss it. Not for the faint hearted but is a literary feat of imagination that will astound readers. a novel that is not easy to put down (…) has has some incredible moments that will leave you wanting more (…) a thrilling, gripping read, that will leave you wanting another hit of angel essence. Haunting and sticks in the mind. The book is also an Amazon Best Book of the Month in Science Fiction/Fantasy. Still undecided? You can sample a bit before making up your mind. Read excerpt from Chapter Three! Read excerpt from Chapter Four! 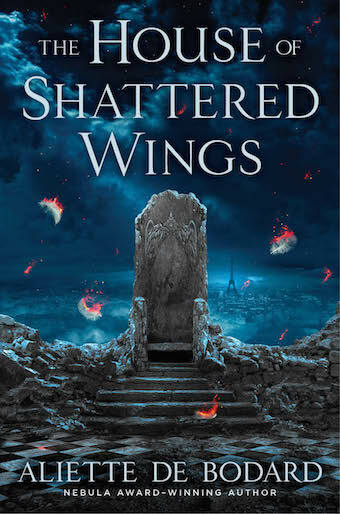 ← The House of Shattered Wings on BBC, and free ebook offer extension!